Hanshi was born in Brampton, Ontario to Steve and Mary Matilda (Minnie) DeAdder. He had many interests as a boy including Cub Scouts, Navy League Cadets, paper routes for several different newspapers, plus a strong love for music and playing guitar. At age 18 he became a full time musician traveling Ontario playing clubs with various bands. This also included a tour of the east coast and a year touring western Canada. After 7 years as a full time musician he settled down in Whitby, Ontario where he currently lives. Hanshi went back to school at age 26 and received a 3 year diploma in Business Administration from Durham College (he also has a grade 12 diploma). He was hired out of college to work for the Hudson's Bay Company as a Systems Programmer. This continued from 1981 to 1987 when he left to become a full time guitar teacher (he taught guitar and played part time in local bands during his job at the Bay). 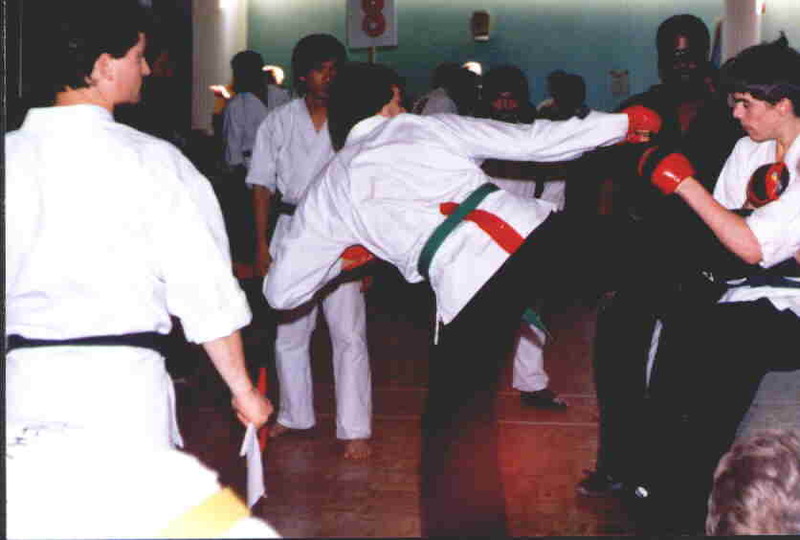 Hanshi always had a fascination for the martial arts. 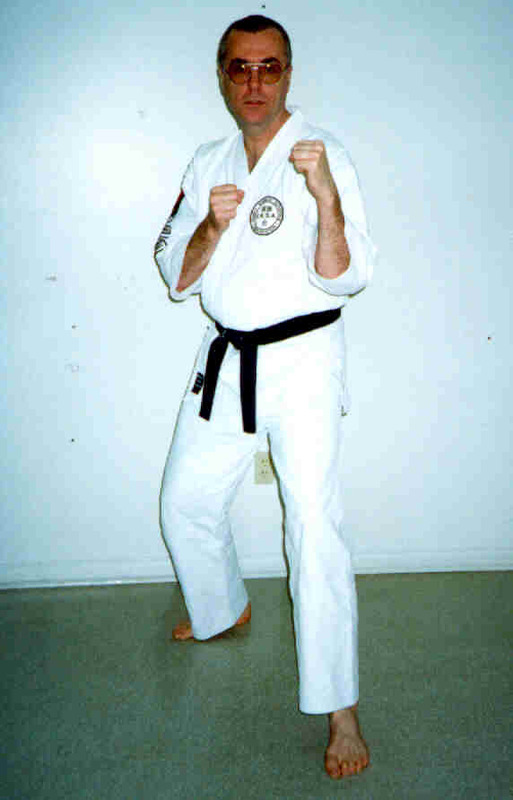 In the early 80's he joined a Kempo/Jiu Jutsu club with son Chris. Chris stopped training at yellow belt (as of April 21, 1999, Chris has resumed his Karate training) but Hanshi remained until receiving the rank of blue belt. Work and time constraints forced him to stop training. Leaving the martial arts was always something that Hanshi regretted. 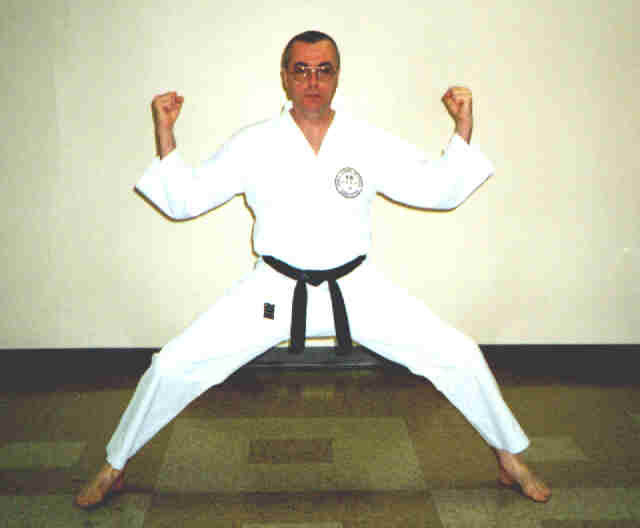 He joined the Toronto Wado-Kai organization at Oshawa Wado-Kai under Sensei Carlos Garcia. Sensei Garcia trained Hanshi to the rank of Shodan (1st degree black belt). 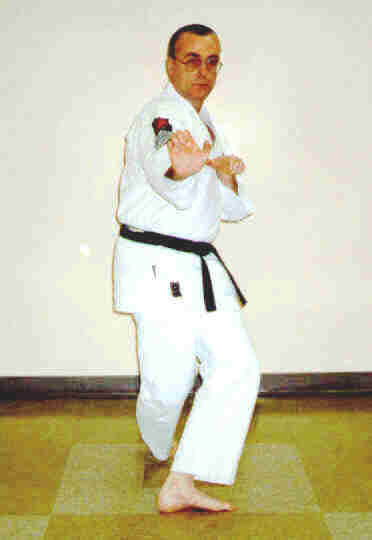 Hanshi left Oshawa Wado-Kai to start the Ajax school (October 1, 1994 - the Ajax school was closed as of August 7, 2012). The Pickering school opened in September, 1996 and the Oshawa school in January, 2000. The Whitby school has been re-opened as of January, 2015. Sparring Stance!! 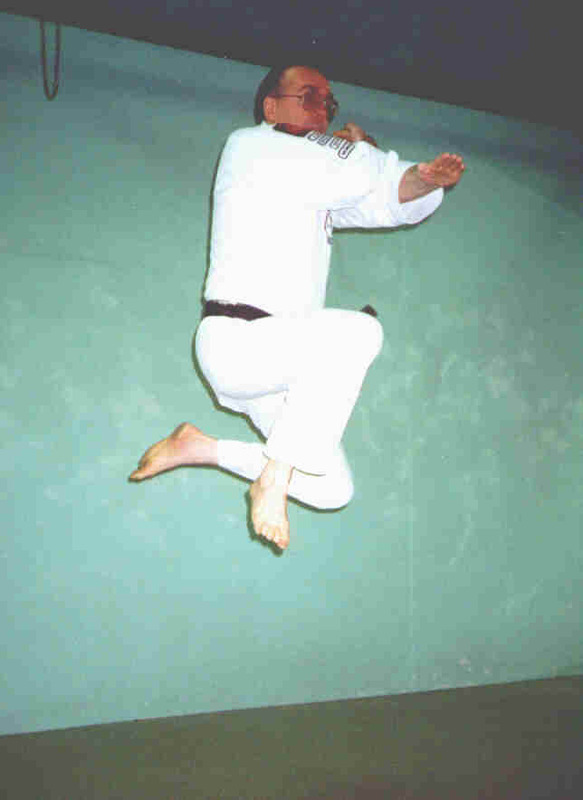 Doing the jump in Kata "Wansu"
The decision to leave the Wado-Kai organization was made early in 1998. The clubs were renamed to the Family Karate Schools Association (F.K.S.A.). The organization the F.K.S.A. is affiliated with is called S.R.M.A.A. 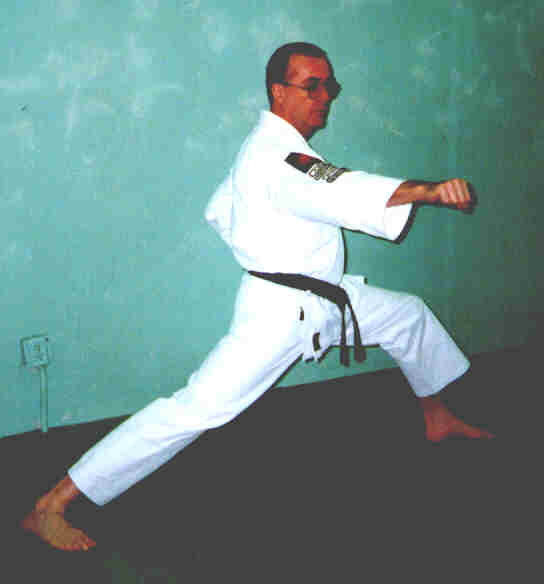 - Seishin Ryu Martial Arts Association - headed by Soshu (founder) Lee E. Dawson, 10th Dan. Hanshi currently holds the rank of 8th Dan (8th degree black belt). As well as being the Head Instructor of the F.KS.A. he is also the Canadian National Director of S.R.M.M.A. 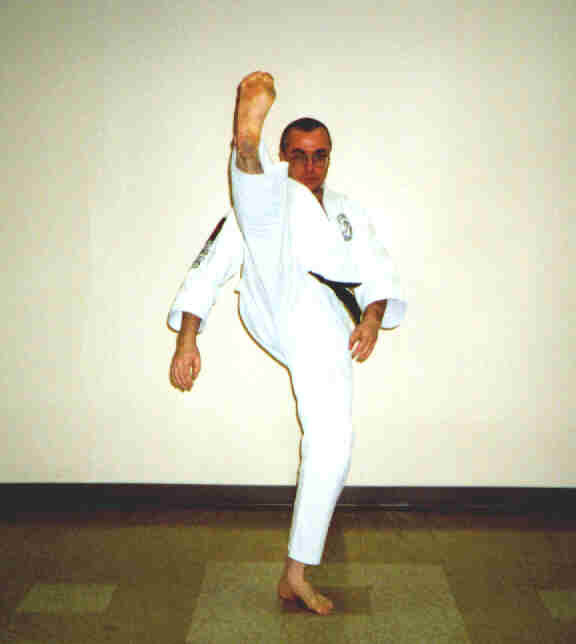 Kata 'Bassai Dai' Showing off with a Front Kick!!! Take a look at a different biography via questionnaire - An Alternate Perspective!! !